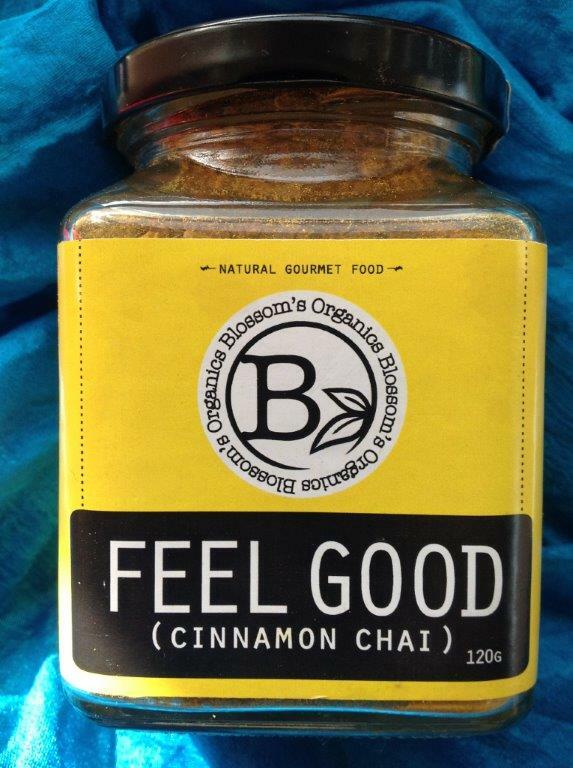 Blossom’s Feel Good Cinnamon Cassia Chai is a caffeine-free herbal tea blend based on a classic Ayurvedic formula to promote longevity, stamina, digestion, balance and circulation amongst other things. Cloves, cinnamon and turmeric have some of the highest anti-oxidant qualities in nature. Category: Organic Gluten Free, Organic Vegan, Additions, Organic Coffee, Tea & Substitutes.